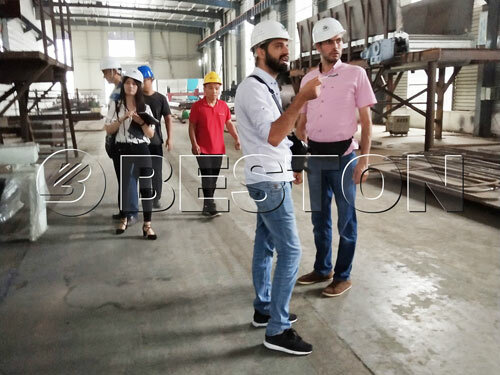 On August 13, 2018, customers from Lebanon visited Beston’s factory of municipal solid waste sorting machine and pyrolysis plant. At present, the problem of solid waste treatment is extremely urgent in Lebanon, thus the customers have great interested in solid waste recycling and wish to set up high-efficiency recycling machines as soon as possible. 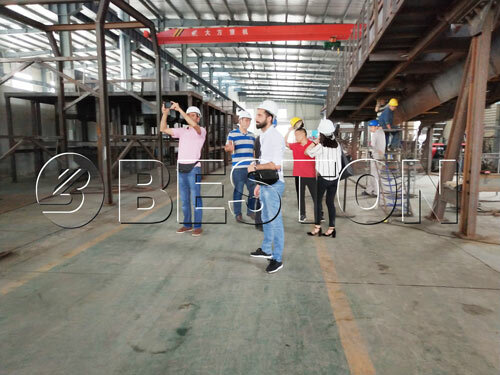 In accordance with the customers’ wills, we took them to visit the workshop of Beston fully automatic waste segregation machine, which is a professional machine that can sort all the municipal solid waste into different types according to the materials. Application of this waste recycling facility can save a lot of time in solid waste management and realize the real meaning of waste recycling. After generations’ changing, we have upgraded some functions and added some new designs to make it more effective in solid waste sorting and processing and more energy-saving in operation. 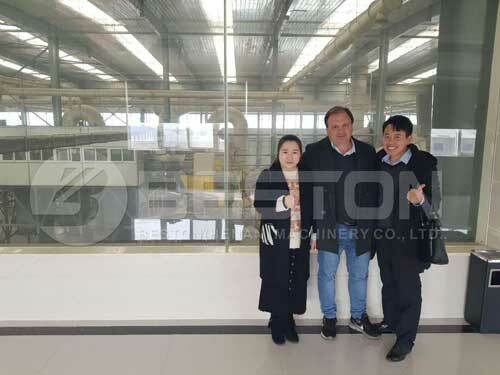 Therefore, during the visit, the engineers and the sales specialists of Beston introduced the general conditions of the machine and then explained the working principle in details to the customers. 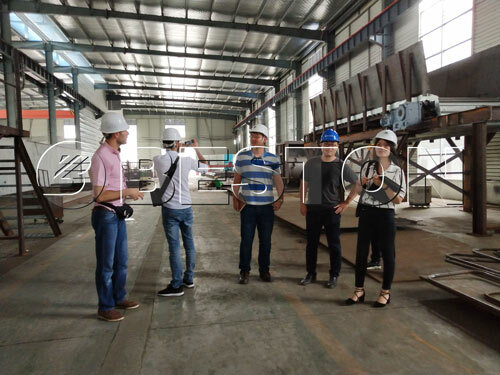 Aside from waste recycling, the customers also hope to realize a combination of profitability and environmental protection through waste and garbage classification. Hearing about this, we recommended the pyrolysis equipment to them. The pyrolysis equipment is able to turn waste plastic and rubber tires into fuel oil. After those kinds of waste are sorted out by a garbage sorting plant, they can be reprocessed in a pyrolysis equipment. And for the customers, they will be benefited from the value of the fuels from plastic waste or used tyres. 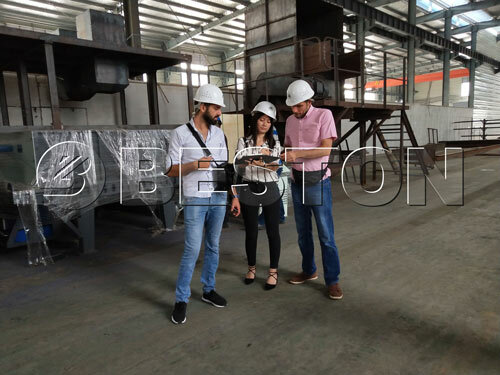 Beston’s solid waste sorting machine and pyrolysis plant have successfully drawn the customers’ attention, and they believe the combination of the two plants is a new way to realize the waste to energy. 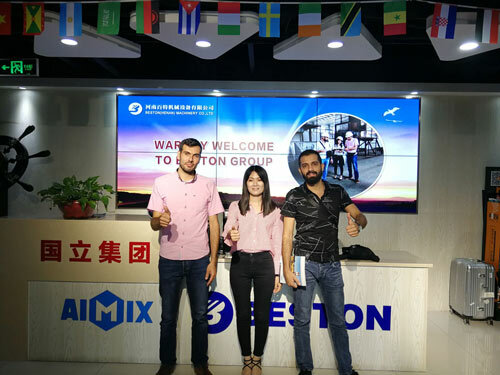 Besides, they also expressed a strong intention to cooperate with Beston in the future and we are also looking forward to this. If you are also interested in waste to energy, you can contact Beston at any time.